The most widely spread economic model is the linear practice of ‘take, make, dispose’ which wastefully uses large amounts of easily accessible, cheap materials and energy. However, this outdated model is reaching its physical limits – a fact which highlights the necessity of a more sustainable alternative. Embracing a circular economy approach is one such attractive option and many businesses are already exploring this path. Regenerative and restorative by design, a circular economy aims to maintain the value and utility of materials, components and products at their highest at all times. According to the vision of its originators, a circular economy is a continuous positive development cycle which works efficiently at every scale by preserving and enhancing natural capital, optimising resource yields, and minimising system risks. The circular economy approach gives us the opportunity to rethink and redesign the way we produce products such as flexible packaging – we can power the system with renewable energy and design products which can be ‘made to be made again’, thus revolutionising the way our economy works. 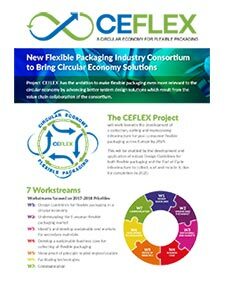 Here at Polypouch we are proud to be involved in the CEFLEX project- the collaborative project of a European consortium of companies from across the entire value chain of flexible packaging. The project aims to increase the relevance of flexible packaging in the context of circular economy by ensuring the companies represented in the consortium achieve value chain collaboration which in turn leads to advancement of better packaging solutions. 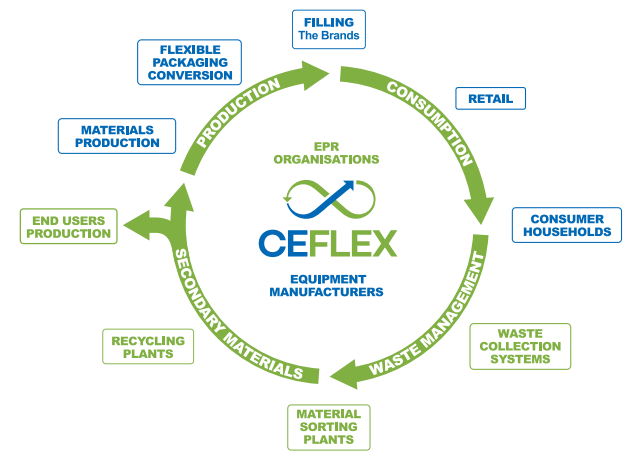 Amongst the milestones for this ambitious project are 2020, by which point according to the CEFLEX vision, flexible packaging will be recognised for the value it adds to the circular economy as a result of the thorough demonstrating and communicating of the efficiency and waste prevention benefits of the resource. By 2025, in turn, there will be a developed economy which deals with collecting, sorting and reprocessing post-consumer flexible packaging across Europe. 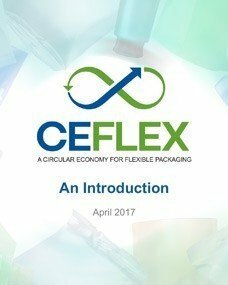 Contrary to popular belief that flexible packaging cannot be recycled and is therefore not relevant in a circular economy, flexible packaging is increasingly recycled, particularly in the countries where it’s collected and sorted. As a consequence, it does in fact add value to a circular economy though efficiently using materials and energy resources. If you are looking for the best eco packaging, why not get in touch with our pouch packaging specialists and order a free sample. We are always on hand to advise you on the best options to promote your products and help you place an order.